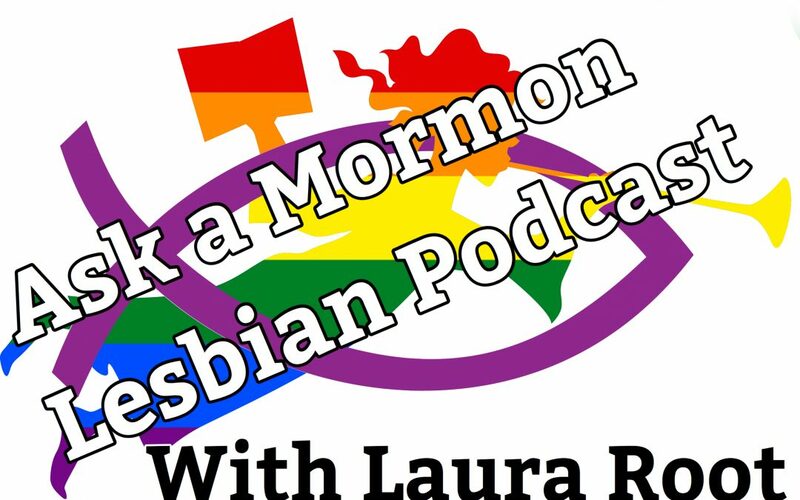 In this episode of the Ask a Mormon Lesbian Podcast, Laura reads an essay about her Church service, realizing she was gay, her excommunication, and her longing to be with the Saints. In John 6: 66-68 in the New Testament we read of an instance when many of Jesus’ disciples chose to no longer follow him. After they departed, Jesus asked his 12 apostles who remained, “will ye also go away”? Simon Peter answered, “Lord, to whom shall we go? Thou has the words of eternal life”. Over the past few years, after coming out as gay, several people have asked me a similar question. They wonder whether or not I will stay active in the LDS church. It is a legitimate question. Most people who are gay and LDS do leave the church. For a variety of reasons they, understandably, no longer feel safe while being and learning with other members of the LDS faith during Sunday church meetings. I grew up as an active Latter Day Saint. I loved attending church and enjoyed praying and reading the Book of Mormon. I went on a mission to Brazil as soon as I could, at the age of 21. Living among the Brazilian people and teaching them the gospel remains one of my most cherished and faith-promoting experiences. I developed a strong testimony of the gospel, of the Book of Mormon, and of my Heavenly Parents’ love for me. After my mission I spent the next 21 years trying to fall in love with a man so I could marry in the temple and live the traditional Mormon life I thought I wanted. I dated a lot. I prayed and fasted a lot. I begged Heavenly Father to grant me this righteous desire that I ached for. I continued to attend church and served in many different leadership callings. My church service, my career, and my hobbies became my focus. Earlier in my life I suspected that I was gay, but I was not emotionally ready to deal with this paralyzing truth. It took a couple of decades to really be able to honestly and deeply consider it. Finally, when I was 44 years old, I could no longer deny what I knew to be true and I allowed the full crushing weight of this devastating and life changing truth to hit me. For the next year I battled despair and depression as I tried to reconcile these two important and seemingly irreconcilable parts of me. It was gut wrenching. I simply wanted to live the gospel and be happy. I knew in my core that the gospel was true and that I wanted it in my life. But, how could I possibly be happy as an active gay member of the church and also have the companionship, connection, and love every person longs for? I learned how to pray at a young age and it was a regular daily practice I engaged in that helped me feel the spirit and provide direction for life. When I became aware of my sexual orientation, prayer took on a new meaning for me. It was my lifeline. It provided constant and life-saving communication with my Father that gave me the strength to keep getting up each day and to keep searching for the answers my Father intended for me. For over a year I constantly prayed, studied, and pondered on the question of how to proceed forward in my life as a gay Mormon. I became obsessed. After all, this was MY LIFE! We only get one life….one chance to use this mortal probation in a way that will help us fill the measure of our creation. I desperately yearned to know what He wanted me to do. Over time, and line upon line, a loving and merciful Heavenly Father showed me that His plan of happiness for me does not include me being alone. I had been taught in church my whole life that marriage was one of the most effective “schools” that Heavenly Father has given us for learning how to become more like Christ. Through the spirit, I slowly began to understand that the ennobling and refining partnership of marriage would best allow me to practice and develop the Christlike qualities that I so wanted to develop in order to become more like my Heavenly Parents. I felt my Heavenly Father’s confirmation of this truth that I was beginning to understand. I eventually began to date and then married the woman I love. And yes, marriage IS refining and, at times, difficult. I have learned so much about myself and how to rely on the Lord for the spiritual and emotional growth I need and want. I have never felt closer to Heavenly Father than I do at this time in my life. I have continued to attend church weekly in order to be taught Christlike truths and principles and to be reminded of my dependence of the Lord for all good things in my life, including my marriage. Throughout this time as I have my entire life, I remained an active and believing member of the church. I had been married for about a year when my ward got a new bishop, as all wards do from time to time. He told me that if I had simply stopped coming to church after my marriage I would not have to face excommunication. I personally believe this notion to be wholly lacking in integrity. Essentially it means, if you and your “certain sins” will quietly disappear so regular members of the church can feel comfortable, we will ignore what you are doing. But if you wish to continue to attend meetings, demonstrating a sincere desire to gather and learn with us, we will forcibly cast you out and you will no longer be one of us. While this position by church leaders is soul crushing, I do not entirely blame my bishop. This seems to be the unwritten policy of many church leaders, both local and general. My bishop also told me that if I divorce my wife I would also not face excommunication. 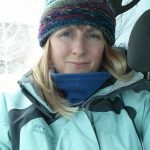 However neither of those things, leaving the church nor leaving my marriage, felt even slightly in harmony with my understanding of the gospel, and was essentially the opposite of the direction I had been given by the spirit. What felt even worse during this process was that even though as members of the church we are encouraged to seek and follow personal revelation, the personal revelation I received was diminished and discredited because it does not conform to current church teachings. In spite of this, I resolved to follow the spirit and continue to attend church and to continue being married. I knew this would put me at odds with the church, but I also knew this would put me right with my Heavenly Parents. The excommunication was finalized about 3 months ago. Although it was difficult, I know that what the 3 men in my bishopric decided to do has absolutely no impact whatsoever on my relationship with my Heavenly Father and Heavenly Mother. As I prayed immediately following the excommunication, I felt the spirit confirm to me that I am loved and accepted of my Heavenly Parents. Many people believe and have told me it would be easier for me to just leave the church like most gay Mormons do. And that is probably true. But, like Peter inquired of the Lord, where would I go? My soul desires the companionship of my fellow saints. My heart wants to keep learning about my Savior and to strengthen my testimony of His atonement and the gospel. The LDS church and many of its members have a very long way to go in terms of truly following Christ’s example to love and accept our LGBTQ brothers and sisters. And I hope these needed changes come soon. Lives depend on it. But in spite of this, for me, members of the Church of Jesus Christ of Latter Day Saints are my people. The gospel is my home. At church I am reminded on a weekly basis to love and serve others, to have charity and humility. And, most importantly, at church I feel Heavenly Father’s love for me. I will continue to try to be the best wife I can be. I will continue to rely on Heavenly Father and to seek and follow His guidance. Nowadays, when I am asked if I will continue to attend the LDS church, my answer remains a firm yes. As long as I continue to feel safe and spiritually nourished there, you will find me on the back pew of our chapel every Sunday at 9am. If you see me, please stop by and say hello.